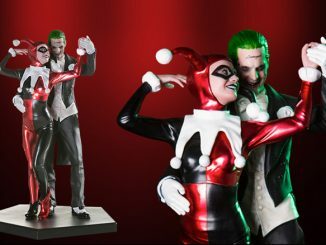 True love is a beautiful thing, even when you’re talking about the DC Comics The Joker & Harley Quinn Wedding Poster. 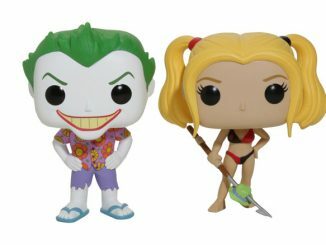 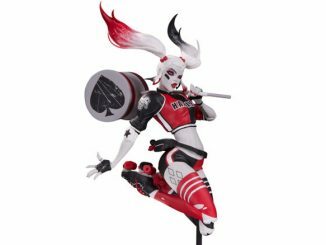 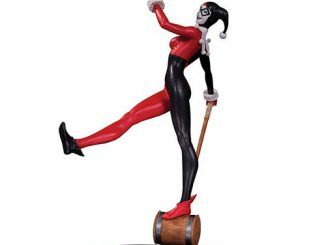 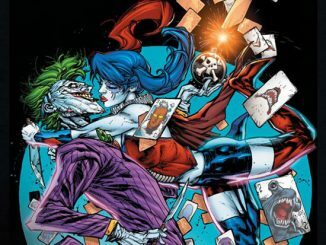 The blushing bride has been looking forward to this day ever since she first psychoanalyzed the Joker in Arkham Asylum, and the Joker has looked forward to putting a ring on it since… hmmm. 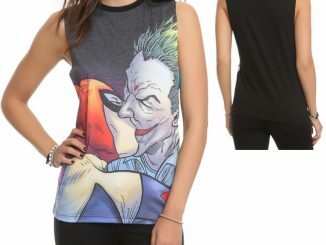 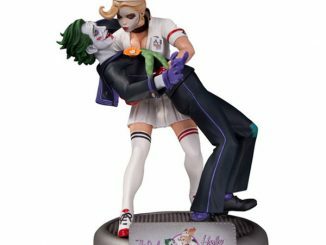 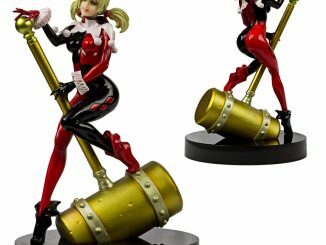 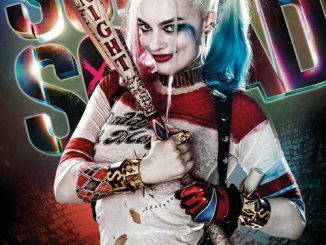 Regardless of what brought these two lovebirds together in (un)holy matrimony, Harley Quinn and Joker look great on this 24-inch by 36-inch poster. 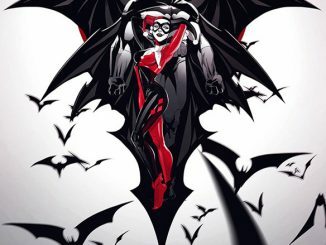 If you think you’ve seen this image before, you’re probably thinking of the motion cover for Harley Quinn: Future’s End #1, which also shows a honeymoon that isn’t nearly as romantic as the wedding. 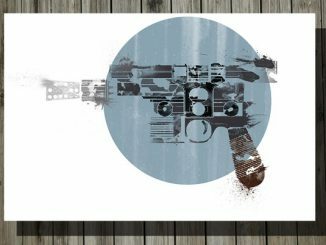 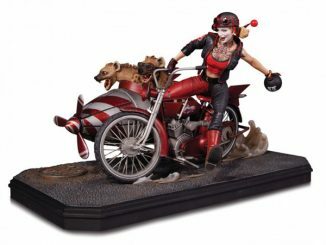 Sadly, the poster doesn’t come with the same motion effect. 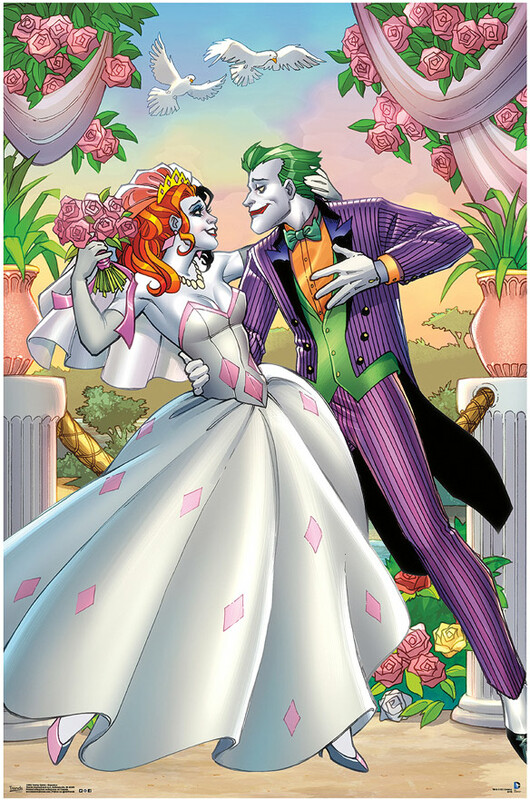 The DC Comics The Joker & Harley Quinn Wedding Poster is available for $6.80 at Hot Topic.